I recently accompanied my wife, Kathleen Scott, on a visit to Galveston, Texas, to help her research an article on Texas ghosts. I took her word for it that Galveston was well known for its legends and ghost stories. All I knew was that it was supposed to be a lovely coastal destination, at least until Hurricane Ike blew through in 2008, producing massive flooding damage. I was curious how much they had been able to rebuild - or if there was still a lot of damage. To set the record straight, there was practically no evidence of damage anywhere. I discovered one of the great coastal cities of the U.S., a vibrant community with lots of cool food, festivals, parks, history and many other fun venues, including a great beach on the Gulf of Mexico with a permanent carnival called Pleasure Pier. And ghosts! There were quite a few ghost-themed tours. In addition, it was remarkable how many of the locals wanted to talk about their own encounters with ghosts. Kathleen came away with more stories than she can ever use. One of the more interesting stories was told to us by the fellow who sells tickets at the Pier 21 theater. When his mother died, he was tortured by the suspicion that his brother had murdered her. It was never proven, but soon after her death, the image of his mother appeared to him one night saying, “Let it go. I’ve already forgiven him.” Her ghost never returned, and he never spoke to his brother again. I usually take in stories like this with a mixture of empathy and skepticism. But that night, I had a ghost experience of my own. We were staying in the Galvez Hotel, a beautiful structure that has stood across the street from the beach for over 100 years. The concierge had taken Kathleen on a tour of the hotel, relating all the best-known ghost legends. One of them had to do with the fiancée of a seaman. Every day she would go up to the western turret to gaze out to sea, looking for her lover's return. When she learned that he lost his life in a storm, she committed suicide; and hotel guests have reported seeing her ghost in the hall and in the room, which was across the hall from our room. One night I was about to fall asleep when I saw a strange, intermittent flickering of light in the room, as if distant lightning was reaching our window. Also, from time to time I would hear a brief, high-pitched moaning sound. I got up to check the window, but the sky was clear. I don’t believe in ghosts, but I was a stranger to this town, and if a spirit was causing these disturbances, then bring it on! The manifestations kept me awake until I discovered the true cause: a faulty smoke detector. But sometimes the experiences that people have don’t have a practical explanation. They're actually seeing something they can’t explain, like the case of the man who saw the image of his mother. I had a similar experience 45 years ago in the Army Ranger School. My buddies and I had been on a long-range patrol for more than a week. The patrol had us lugging 60-pound packs, weapons and radios up and down the mountains of northern Georgia. We subsisted on one small ration a day and about four hours sleep on cold ground. We were exhausted and hungry. Thanksgiving, the most logical time to end the patrol, had come and gone. We had no idea when the ordeal would end. One afternoon, we stopped at the top of a hill to rendezvous with a resupply helicopter. I looked beyond the valley below and saw our basecamp. To me, this was a sign that we were close to the end of our mission, and I excitedly pointed this out to my buddies. They didn’t share my excitement, saying they didn’t see the camp. When I looked back at the valley, I saw that they were right. There was no camp, just a grove of young trees. That was a humbling and confusing experience. I chalked my hallucination up to fatigue, and I didn’t think about it again until much later in life, when I was studying how the brain uses the occipital lobes at the back of the brain to create visual images from sensations of the optic nerve. The eye gathers light from the external world, sends it to the visual cortex via the optic nerve, and the brain creates the images. I also determined that visual images in dreams are created exactly the same way, using image data stored in memory instead of input from the external world. Visual memories work the same way, as do images created when we exercise imagination. Understanding this, ghost sightings have a rational explanation. In moments of emotion or stress, people can simultaneously perceive both images excited by the real world and images stimulated from memory or imagination. It happens all the time, just as it happened to me in Ranger School. It’s such a common human experience that ghost stories abound, especially in a place like Galveston, which has a history of pirates, hurricanes and other traumatic events. So if you like ghost stories, you really ought to go to Galveston. Once you get there, people will gladly share them with you. 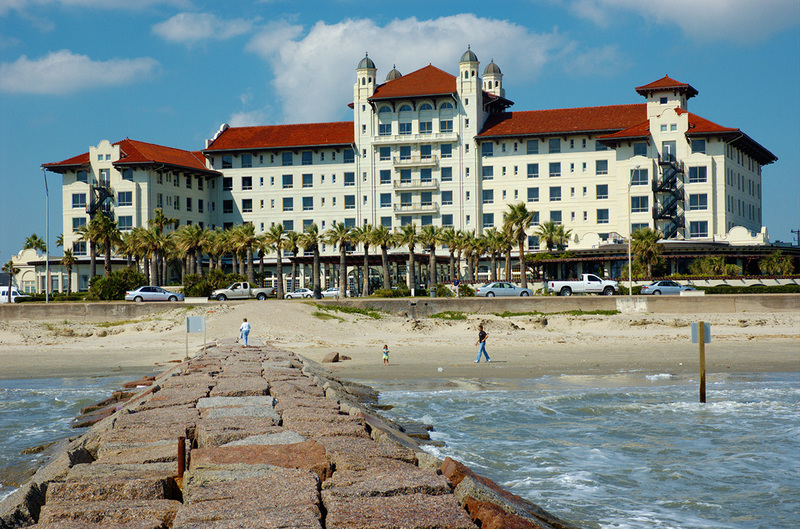 And while you’re there, discover why Galveston is such a cool town.